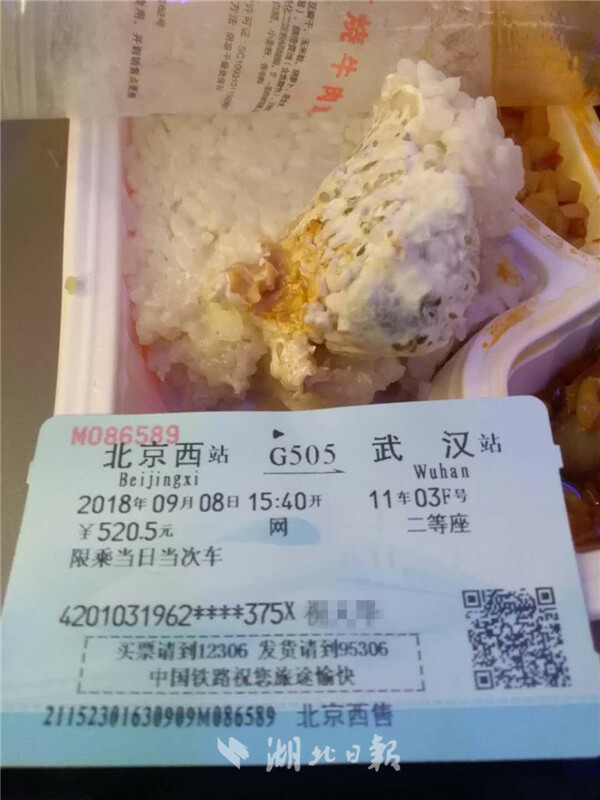 China Railway Guangzhou Group has suspended cooperation with a catering company after a passenger became sick from eating moldy food. Xia, who didn't notice that the food was moldy until he had eaten half his dinner, later threw up and had diarrhea. 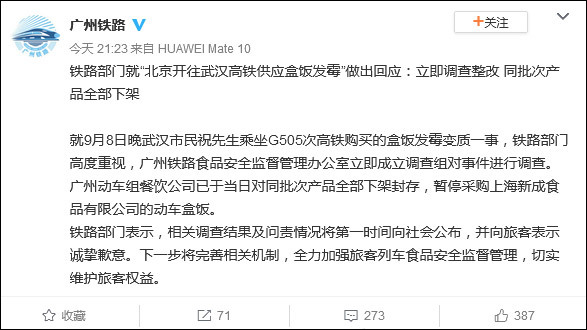 吉林长春一位热爱旅游的网友对此表示："我很少在高铁上吃盒饭。一份饭卖40元，饭的品质不值这个价(the quality isn't worth it)。我宁愿吃碗泡面(I'd rather take a bowl of instant noodles)。"